Very exceptionally we have several places left on our 2 day training for transition course in London 5/6 March. This course costs £105, but concessions are always available. Training for Transition is a 2-day "fundamentals" course for those wishing to know how to set up, run, and maintain a successful Transition Initiative. It is packed with imaginative and inspiring ways to delve into both the theory and practice of Transition - download the course overview below. The first Training for Transition was held on 19/20-Oct-07 in Totnes, and there have now been more than 70 further trainings in the UK and internationally. There are now training pools offering Training for Transition in Canada, the USA, New Zealand, Australia, and Japan. In addition we have run trainings in Italy, Hungary, Ireland, Holland, Brazil, Germany, Belgium, and China - with further trainings planned for Spain, Portugal, France, and Denmark. This two day workshop is both a practical and informative introduction to Transition and a powerful personal journey to greater personal resilience. It weaves together practice and theory, information and experiential, our inner Transition with our outer Transition, and personal and community Transition. The feedback from participants indicates that this two day journey holds for many key insights, understanding, and awareness to help them to contribute to the most important journey of our times; the journey to a peaceful and resilient world. Our intention in offering this training is to inspire, encourage, and inform people who wish to undertake Transition. There is plenty of glowing feedback, and now increasing evidence that those initiatives who attend the training find setting up and successfully creating a Transition Town an easier, faster, and more convivial process. By learning the nuts and bolts of what has worked in other Transition Initiatives, it empowers you to creatively apply Transition in your town, city, hamlet, or island. Many people do this training when already involved in Transition and find it enriches and adds to their experience as well as providing opportunities for sharing experiences with others on the same journey. Contact Steph Bradley training@transitionnetwork.org to book. The Turning Point: a return to community explores the vital importance of community in the 21st century and its role in helping us to create a life-sustaining society. 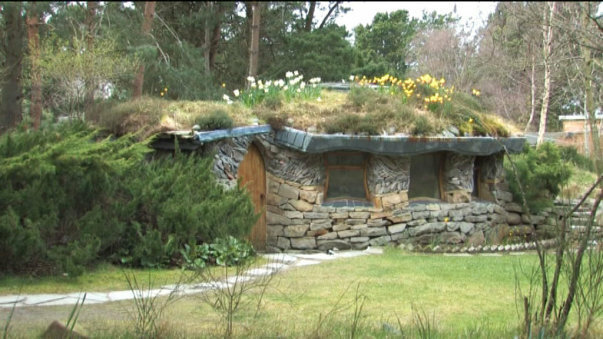 The film takes an inspiring look at some of the sustainable community solutions that have grown up over the last 20 years around the Findhorn Foundation community in Scotland. This multi-faith spiritual community, ecovillage and international centre for holistic education aspires to foster a new human consciousness and to create a positive and sustainable future. The film also explores Community Supported Agriculture, the localisation of wind energy, egg, cheese and bread production, ecological sewage treatment, a Transition Town community garden, car pooling and adopting a local currency. Growing in Haringey developed out of the Sustainable Haringey Food Group to co-ordinate, promote and support community gardening and sustainable food activities in Haringey. Capital Growth has awarded GIH a small ‘Local Lead’ grant for this co-ordination work. We want to use this to pay for at least some of the reliable core work involved. (Much of this co-ordination is what Jo Foster has for so long done voluntarily – but Jo is now moving away). Please contact Anne Gray at amgggg2@yahoo.co.uk if you are interested in one or more of the five ‘job spec’ contracts outlined below. We’re aware that the fees offered are very little – only a minimal cover of the work really needed, much of which will have to continue to be done by volunteers. So you’ll need interest and enthusiasm for the aims of Growing in Haringey and its member projects, and for being part of this community network. Strategy workshop organiser/facilitator -- £100 fee offered. Experienced event organiser/facilitator to prepare and organise a network gathering on 15 May, to involve projects in identifying what they want from GIH, who they would like this to work, and ways they can help support and enable this, as the basis for GIH priorities and strategic plan. This event to incorporate GIH AGM. GIH web-site and on-line development and maintenance -- £120 fee offered (over 1 year): we need a reliable monthly health-check of GIH web-site, alerting others if work needed to update their content. You may need to liaise with the webmaster for the time being of the wikispace where it is housed, to give people access rights to add/edit content if they need that. Summer Festival co-ordinator -- £200 fee offered (+£50 initial working budget). Organising a co-ordinated stall presence at the round of summer festivals around the borough – which might be either a GIH stall or GIH materials at a stall run by another relevant organisation. This will involve liaising with projects and with local festival organisers, lining up volunteers to staff stalls, and sorting out display and information materials. We hope it will be possible for this to include fundraising and interactive activities. Main activity will be during May-Sep 2011; see separate contract below for production of information and display materials. We need a graphic designer for two information products – a ‘local growing projects’ directory leaflet, and a display poster – needed by end May, for the summer festival season. We need these both as printed paper products, and as GIH web-site content (liaising with web co-ordinator above). We are aware that we will need to raise or identify further funding to cover printing. Network contacts co-ordinator: £300 fee offered (over 1 year). The core requirement here is maintaining list of local projects and contacts, and producing a bi-monthly email newsletter for circulation to the contacts list and posting up on the GIH web-site. This will also entail often being the first point of contact for information and queries, either dealing with them or knowing who to pass them on to. Involvement in and knowledge of community gardening and/or sustainable food projects in Haringey – or interest in becoming an active part of this community network – is essential, as well as relevant skills for the particular tasks you want to do. We recognise voluntary experience as of the same status as paid employment. All these contracts will involve working with GIH Committee and other volunteers. If we take you on for any of these contracts, we will enrol you in GIH’s Advisers panel. All the fees are based on £20/hr for estimated work expected. Generally, we will expect to pay quarterly in arrears, or on basis of delivery of specified outcomes, unless otherwise negotiated. These fees are offered as freelance self-employed contracts; you are expected to pay your own tax and national insurance. I’m afraid that we are not able to provide additional expenses payments, nor to provide office space or equipment. We will be looking to raise additional working funds during the year, but can’t guarantee this. 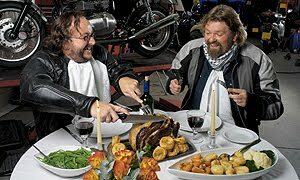 The Hairy Bikers: are they promoting heart and soul? I have a confession to make; I really like the Hairy Bikers and their ‘Mums know best’ programme on the BBC. In case you have not seen this, people are invited to share recipes that are special to them and their families and this is all brought together at a pubic event where people bring dishes to share and swop recipes with each other. The emphasis is on good home cooked food. There are no lectures on fat content or the rights or wrongs of eating meat. It is all about what food means to us and how it makes us feel. Sure its fun and light-hearted entertainment but what I like about it is the idea that they are promoting. That food has a psychological importance that is very personal and has a strong association with our sense of place. Forget your healthy eating mantras and ethical obligations; what we like to eat is food that connects us with the place we call home and our family traditions. The other aspect I find delightful about this programme is the fun people have connecting over food. They may be from very different backgrounds and cultures but there is a huge amount of respect and appreciation for each others food selections. No one is being judged or compared it is just a wonderful and self indulgent celebration of food and what it means to us. Now contrast that with a number of green events I have attended where food is supplied or ‘food to share’ is the order of the day (and yes that does include some Transition events). The default position is often vegan and I have witnessed grown adults apologising for bringing something that may (or may not) transgress some unspoken ethics of communal eating. Please don’t get the idea I’m having a go at vegans or vegetarians (some of my best friends are…), but since when did they represent the majority choice. I don’t ban vegetarian meals in my home because I choose to sometimes eat meat and fish, so why this lowest common denominator position. These events are meant to be inclusive and open to all for crying out loud. There is a word for people who impose their beliefs and values on others and it begins with ‘F’. So for all you people out there organising events, please take a leaf out of the Hairy Bikers cookbook and make it open to all. Watch the programme, lots of people enjoying themselves speaks for itself. Food is fun and it brings people together and that is where the interesting conversations occur. To RBS or not to RBS - Should we get involved in Climate Week? This year's Climate Week takes place from 21-27 March with Tescos, the headline partner,and with support from Aviva, EDF Energy, Kelloggs and RBS. You can see the two logos side by side (Tescos and Climate Week) on the publicity material with the Tescos's slogan, Every little bit helps standing out. Tescos have pledged to 'become a zero-carbon business by 2050.' They plan to reduce emissions from the products they sell and in addition, help customers work on their own carbon footprints. All very worthy and we like to hold Tescos to account - see the recent Hornsey Journal article pointing out the discrepancy between their policy on food waste and their dumping 400 loaves bread during Christmas period. Tescos are not offering funding but participating organisations can have their events listed or apply for an award. 'Little', indeed. However organisations that sign up will become part of a media extravaganza which includes celebrities and politicians, and a well-publicised campaign in schools and workplaces. On Saturday's programme he seemed less convinced that these behemoth corporations are going to save the world: the imperative of every public limited company is to maximise profits for their shareholders, which scuppers any move to equip themselves for change. Nevertheless he still believes that these organisations contain people who were once idealists. Too terrifying, too austere, too distant a vision of the future makes people switch off. Nomalising the idea of climate change so that it becomes discussed during ordinary day to day activities may work better. So the project, Stirling Going Carbon Neutral hopes to reach 35,000 people through rugby clubs and knitting circles; Solitaire Townsend from Futerror 'sells the sizzle' at a swishing event in Brixton. George Marshall of Climate Change Outreach Network explains how the green agenda of climate change can actually undermine the move towards common understanding. Its assumption of a leftwing liberal stance narrows the discussion and fuels rightwing arguments of bias. 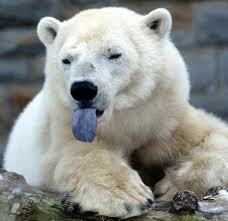 He argues for example that the much loved image of the polar bear is actually counterproductive. The image is associated with the environment, but a distant environment, nothing to do with us. Would we be creating a communal effort, reaching a wider audience through the media and the workplace, or are we just propping up a consumerist society through our alligning ourselves with a supermarket and a bank? A weekend course to learn new skills and practical approaches to living in a more sustainably way in all areas of your life. The course will cover the underpinning philosophy, ethics, principles and practical tools of permaculture – an approach that is being used by individuals and grassroots community groups globally to provide some of the solutions to our common environmental, economic and social challenges. The Meadow Orchard Project provides an interesting and inspiring venue to illustrate these principles in practice to gain insight and reflect on our actions, as well as a chance to get hands-on. This course is subsidized so priority will be given to regular Meadow Orchard Project volunteers and local residents. We hope to run more courses in future. Several matters were arising from minutes – see below. Green Lens Studio can host the workshop for £200 a day, including tea and coffee. Magnificent Revolution normally charge £40 per person, aiming to attract 20 people; it is not clear whether this includes the price of the venue. The funding from Pennies for Plastic could be used to cover the costs of the room or subsidise places on the course. · Gillian to negotiate prices with both parties and contact Transition Finsbury Park and Belsize to assess interest. · Rebecca to pass on Bart’s email, a TFP member who has links with cycling networks. The number of farm boxes is now 12, which is not sustainable in the long term (although alternative drops at Muswell Hill and Archway have been discussed). It would be useful to feedback to the farm any issues or suggested improvements. · Sam to provide a leaflet to distribute at networking events. · Gillian to produce a survey on the farm box to be circulated around the original list. The domain name can be linked to the blogspot and then migrated to a website later. · George and Gillian to explore the possibility of expanding the blogspot (or wordpress site) to include other materials e.g. events and photos. The most likely date will be Sunday 3 April from 2-5, including a break for tea and cakes. There will be 5 minutes input from different projects associated with TCE. Permission was granted to include pictures of the HVCC Garden Day in the Newsletter. Transition Finsbury Park plan to unleash their initiative at the Well Oiled Festival in September. Possible date for TCE would be Apple Day.